Every angel in Heaven is preparing for a big event…except Crystal. They won’t allow her to help because she is too little. But God doesn’t think so. Crystal soon finds herself playing an important role in delivering God’s greatest gift to the world. 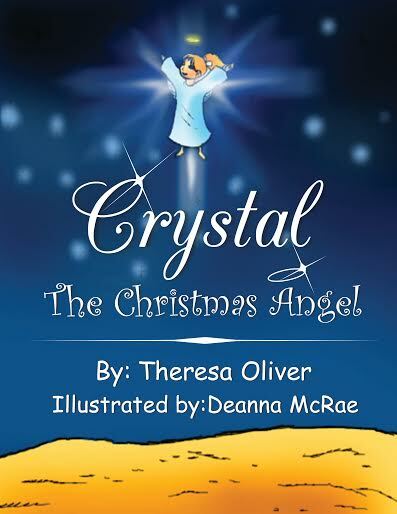 Crystal The Christmas Angel by Theresa Oliver is a sweet story centered around the birth of Jesus. It shows how one little angel can make a difference; just like one child can make a difference–even when the adults around her can’t see it. The illustrations by Deanna McRae are beautiful. With its larger size (8.5 x 0.2 x 11 inches) and the artist’s smart use of color, the book is sure to capture the eyes of young people. Where I believe the book may have some challenges is in the story length, the typographical errors, and its straying away from the documented story of the first Christmas. While there is no stated age for this book, the standard picture book age is three to eight years old. A sixty-six page picture book, therefore, doesn’t make it ideal for bedtime reading. The book attempts to cover nearly every aspect of the Christmas story instead of focusing on one part of it or condensing the rest of the events to get to the important conclusion. There are many instances of a missing “w” in the word “was” and at one point the word “stat” is used instead of “star.” When writing for early readers, accuracy is important. Some adult readers may have issues with the liberties the author takes with the Christmas story. Since I write faith-based fiction for children where fictional characters are integrated into Biblical events, I feel this is something I can truly speak to. I will also attempt to do so without giving away the plot. Crystal’s role in bringing God’s gift to Earth is significant. Her role changes–for lack of a better word–the traditional story we share with our children about the First Christmas. My personal belief is that the author could have shared the same inspiring message with young readers without affecting the integrity of the Biblical story. Stubby’s Destiny by Dixie Phillips shared a similar message (even the tiniest, lowliest of us can make a difference) with readers surrounding the entry of Jesus into Jerusalem on what we call Palm Sunday; and she did so without altering any of the Biblical facts surrounding the event. That said, the way in which Crystal The Christmas Angel is written could also engage persons outside of the Christian faith to read it. The message is an important reminder for all of us who sometimes discount a child’s abilities and it will inspire young people to keep trying. It’s definitely a lovely story and worth taking a look at. I received a copy of this book from the author though Pump Up Your Book. This review contains my honest opinions, which I have not been compensated for in any way. Connect with Theresa on Facebook and Twitter. Find out more about Theresa at Goodreads. Who says friends have to be alike? When Mokey skips out an open door at the zoo, he wanders off to find some friends to play with. He doesn’t discover any monkeys, but he does find some new friends who are just as fun to play with, no matter how different they are. 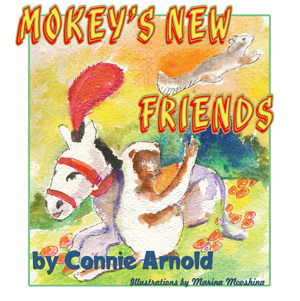 Mokey’s New Friends by Connie Arnold is a wonderful story that celebrates diversity. Though sometimes we are drawn to people who are similar to us, we also find friendship with those who have different likes and abilities than we do. With this charming book, Arnold encourages kids to accept the differences and enjoy the time spent with friends. Artist Marina Movshina lends her impressive talents to beautifully illustrate this story. From the minute the reader meets Mokey, they will be captivated by the pictures Movshina has painted to bring this story to life. Kids will enjoy this delightful story over and over again. 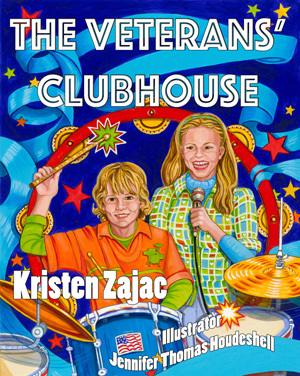 The Veterans’ Clubhouse by Kristen Zajac is a touching story that shows young people they can make a difference. Patrick, Hailey and their parents befriend a homeless veteran in need. To offer help to Charlie and others like him, they organize a benefit concert to raise funds to build a resource center at their church. What an inspiring and heartwarming story! Two kids see a need in their community and they work with their family and other adults around town to make a difference. The reader is also witness to Patrick and Hailey using their special talents (drumming and drawing) to help their cause. This book shows how one seed planted can blossom into a field of flowers that touches many. The vibrant artwork of Jennifer Thomas Houdeshell brings Zajac’s story to life. Considering Charlie is a Vietnam veteran, the colors and designs found inside are inspired by that time period. I also like how doing so weaved Hailey’s drawings into the illustrations. My father and one of my brothers served in the U.S. Armed Forces, so this is a book whose subject is close to my heart. I applaud Zajac’s continued commitment to sharing the importance of our veterans and veterans’ issues with young people. Deb and Dee are twin sisters who are always together….until the first day of Kindergarten. Dee goes one way and Deb the other. Suddenly on her own, Dee wonders what she will do. She soon discovers her classmates have the same jitters she does. 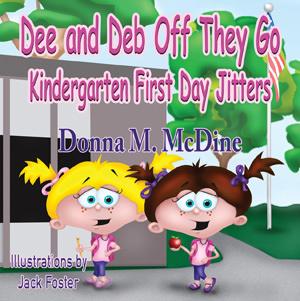 Deb and Dee Off They Go – Kindergarten First Day Jitters is a story that enables young children to realize all first day kindergarten students suffer from the same fears they do. It’s a delightful story of friendship and belonging somewhere outside of home. It helps open up children to the idea they are part of a larger community. Award-winning author Donna M. McDine knows the issues children face and this latest book is even more proof of how in tune with young people she is. 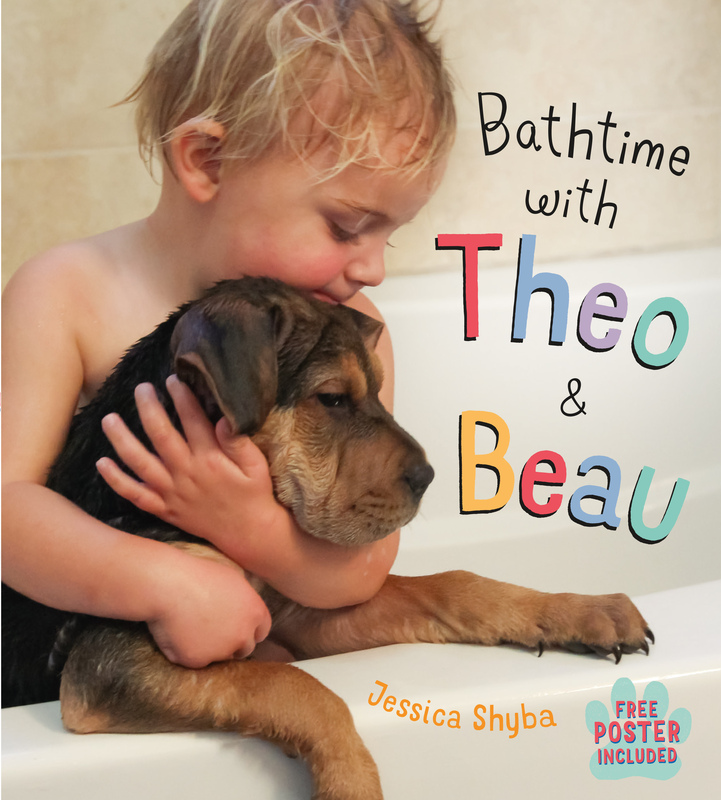 Jack Foster provides the artwork for this adorable book. His use of color and the wide, expressive eyes of his characters allow readers to easily identify his illustrations. He captures so many emotions with his characters’ eyes. I’m hoping this is a start of a new series of Dee and Deb books. Would love to follow more of their adventures. 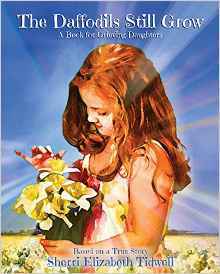 The Daffodils Still Grow is a touching story of one girl learning to cope with the loss of her mother. The sun still shines and she watches girls with their pretty braided hair (just like hers used to be), but her mother is gone and she can’t understand how life goes on as if nothing changed. Then one spring day, the daffodils her mother planted bloom and the girl is reminded of the many ways her mother is still with her. I chose to read this book because I lost my mother when I was a child. The author, who draws on her own life experience, captures so well the many emotions children experience when a loved one passes away. It seems wise that Tidwell chose to handle this topic with a rhyming story, as the lyrical prose helps lighten the difficult subject matter. The artwork in The Daffodils Still Grow is unique in that the fuzzy, intentionally out of focus design could easily symbolize the out of sorts feeling of a child dealing with loss. The colors are warm and inviting. The best part of this book, for me, is the message of hope that it inspires by helping the reader to understand all is not lost when someone leaves this earth and that we can honor their memory in special ways. The Daffodils Still Grow is available at Amazon. Watch a narrated video of the book at YouTube. Sherri Elizabeth Tidwell is giving away a The Daffodils Still Grow T-shirt! This giveaway begins February 1 and ends April 29. Winners will be contacted via email on April 30.